Designed to help Scouters make scouting thrive in their communities, Wood Badge for the 21st Century is BSA’s premier training program. It is typically run by councils, or clusters of councils in cooperation with one another, and consists, in one form or another, of six days and evenings of concentrated training on how to be better adult leaders. The Spirit of Adventure Council is part of a cluster of councils that cooperate to run the course annually. 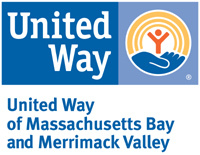 Other cluster members include Old Colony Council and Cape and Islands Council. Annawon Council had been in our cluster until it merged into Narraganset Council. 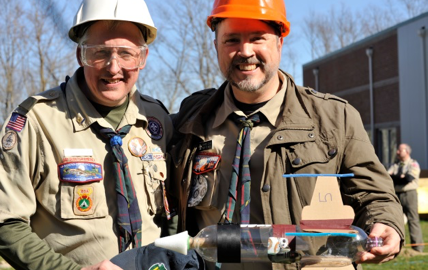 Like most, our cluster runs Wood Badge over the course of two three-day weekends. Our cluster just completed its second weekend this past Sunday, with 30+ learners finishing their course work at Lone Tree Camp. There were just under twenty staff members – all volunteers — and I was lucky to be one of those. 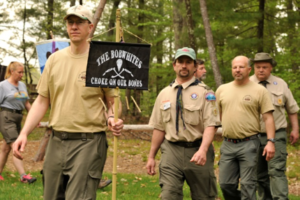 Wood Badge is built around the concept of a scout’s progression from Cub Scouts through Boy Scouts, with learners broken up initially into Cub Scout Dens. These groupings remain intact for the duration of the Wood Badge course, so the dens eventually become patrols. 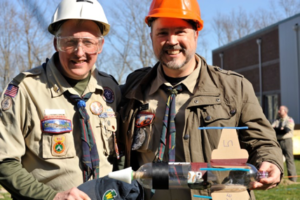 This approach is simply a device under which to organize the course, and to give adult scouters a sense of what it is like to be a Cub Scout and subsequently a Boy Scout. Each den/patrol is assigned a Wood Badge staff member, called a guide. Initially, the guide is extremely directive with his den, giving presentations, leading group learning and team building exercises, etc., but as the den becomes a patrol, the guide’s role evolves to be less directive and more advisory. Wood Badge instruction takes the best from corporate training and gives it a scouting twist: Listening to Learn, Communications, Aims and Methods of Scouting, Managing Conflict, Embracing Change, Leave No Trace, Diversity in Scouting, and Scouts with Disabilities are just some of the topics covered during the course. Interspersed among these presentations are worthwhile games and exercises that not only help the patrol gel as a team but instruct them as to the four stages of team development – forming, storming, norming, and performing. Toward the end of the course, learners develop five “tickets” that they will work on and complete in the next eighteen months. Each ticket is intended to strengthen whatever part of scouting the learner is most involved in, whether a Cub Scout pack, a Boy Scout troop, Venturing crew, or district or council volunteer role. These tickets are intended to spur the learner to take what he or she has learned over the Wood Badge weekends and put it into concrete action to make scouting thrive in his or her community. A learner is considered to have completed Wood Badge training when he or she has completed the five tickets. At that point, the learner is presented with two wooden beads held on a leather thong, a distinctive Wood Badge neckerchief, and a leather woggle/neckerchief slide of turk’s head design. 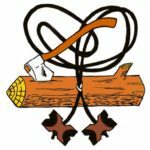 So, who should take the Wood Badge course? Anyone who wants to make scouting thrive. Our course included Cub Masters, Committee Chairs, Scoutmasters, Assistant Scoutmasters, Venture Crew leaders, and district professionals. An added benefit? Much of what is covered in Wood Badge is applicable at home and at work. Already a “Wood Badger”? Consider volunteering to serve on staff for the next course, to be held in the spring of 2017. Either way, please contact me at HERE for details.